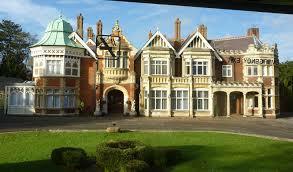 England's Bletchley Park, the home of the team trying to break Nazi Germany's Enigma machine's military codes, features in two movies: 2014"s The Imitation Game and Enigma 2001), and very indirectl;y in the submarine thriller U-571. 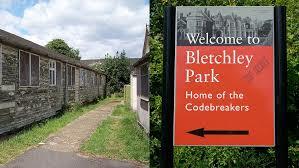 Visitors can now see some of the buildings that housed the mathematicians, cryptologists, technicians, typistes and clerks who helped win the war by breaking the secrets of Enigma and revelaing vital German military plans. The famous jousting scene in "El Cid". The 1961 movie El Cid, directed by Anthony Mann, gains much of its considerable impact and sense of epic spectacle from the fact that most of its locations are authentic and overwhelmingly impressive on the big screen. 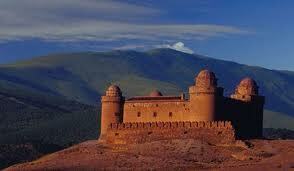 The movie is about Spain's 11th century warrior-hero Rodrigo Diaz. 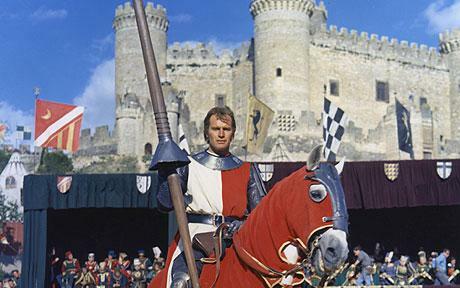 Its exterior scenes were shot on locations of actual medieval Spanish castles and cathedrals , which tower in the background, framing the action. The plantation mansions of the pre-Civil War South have featured in many movies about that era. 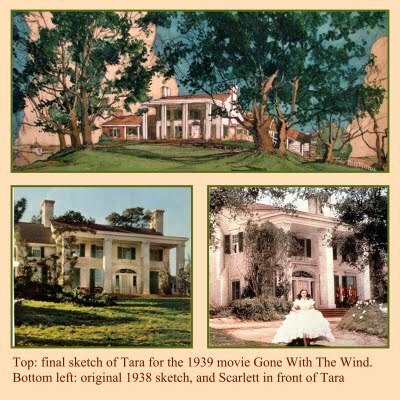 The most famous of course is Tara in Gone With the Wind. Director Steve McQueen [center] is shown at one of the locations filmed in 12 Years a Slave. 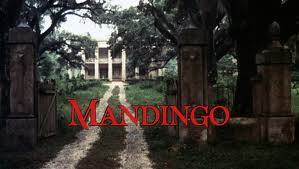 The opening title of Richard Fleischer's Mandingo significantly shows a run-down, shabby drive and mansion that symbolise the decaying family it houses. 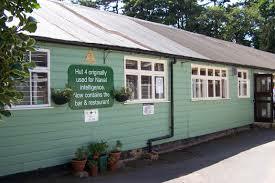 Coffee bars, night clubs and dance halls in London and other big British cities saw the birth of British rock 'n' roll in the mid-1950s. In one of the most unconvincing portrayals of Paris ever seen on film, the very English buildings at Greenich were used as backdrop for the 1832 Paris uprising in Tom Hooper's lachrymose version of the musical "Les Miserables". Hollywood in its golden age. Hollywood Blvd, Los Angeles, early 1940s, setting for Steven Spielberg's comedy '1941'. Mayerling Lodge, Austria, setting for several movies about the Mayerling scandal. France under German control, World War II. 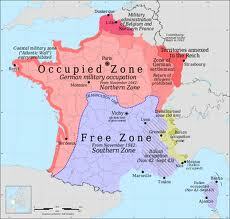 The 'Free' or Southern Zone was in the hands of the collaborationist Vichy government. Both sections were the settings for the acts of resistance and collaboration that provide the content and themes for many films about that period. India, August, 1947: the British withdraw from India, which was partitioned into India and Pakistan. The various nationalist movements had achieved their goal of independence, but immediately confronted a legacy of ethnic and religious division. 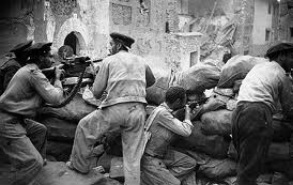 Fighting during the Spanish Civil War, 1936-1939. Much of HBO's movie "Hemingway and Gellhorn" is set in this conflict. 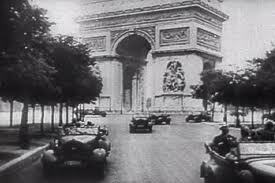 Paris under Nazi occupation - the crucial setting for many movies about the French Resistance and Nazi Occupation. 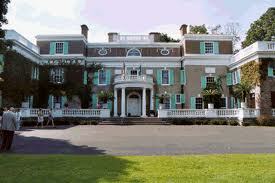 Roosevelt estate, Hyde Park, as featured in movie "Hyde Park on Hudson".